The main news at Manchester United this week has been the criticism of club legend, Paul Scholes by manager, Jose Mourinho. The Portuguese tactician came in hard for the former midfielder turned pundit, saying all he does is criticise. He also claimed that Scholes is a bad pundit and says the ginger-haired man would be happy with 25% of his managerial success. Scholes had labelled club record signing, Paul Pogba as being “unfit” and strolling through matches, but the 24 year-old Frenchman gave him the perfect response by registering 2 assists in the 2-0 victory away at Everton with a Man-of-the-Match performance. While the achievements of Scholes can’t be underrated, he needs to tone it down so as not to lose face with the fans that love him so much. Scholes was part of the famous Class of ’92 that helped United win a host of trophies but ever since he became a pundit, he has taken a new stance about the club which Mourinho highlighted. Notoriously shy as a footballer, the former England international has taken on a new personality as a media person, consistently delivering talking points with his analysis. While his criticism of Pogba was a little right, his approach was quite wrong. He spoke as an outsider, not as a player that knows the pressure of playing for such a big club despite the fact that he made over 700 appearances for our darling club. The current crop of players need encouragement and Scholes, being a former player, should know better. He is a pundit now, which means that he must say things as they are without mincing words. There is a thin line between trying to always condemn and saying things sometimes that are factual. 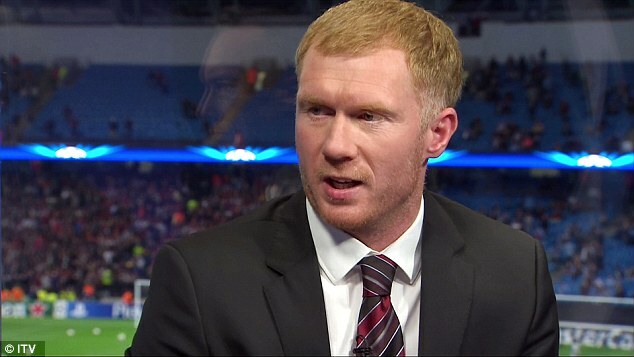 It is interesting to note that former club manager, Louis Van Gaal also had reservations about the manner in which Scholes goaded him, saying that the 43 year-old was part of the group that facilitated his sacking at Old Trafford. Club legends must remain as legends, not people trying to score cheap points with some ill-advised and badly comments that could be misconstrued as snide comments despite the best intentions behind them. Calm down, Paul and leave our current Paul alone.